Office space within a Georgian Terrace, just five minutes’ walk from the bars and restaurants on George Street. Flexible offices built around collaborating between different companies where clients can make use of the breakout spaces to network over a coffee. Kitchen facilities with complimentary hot and cold drinks are available as well as a free bar on Fridays. The meeting room can be hired when you need it and comes with an LED tv, flip charts and white board. Additionally, an event space has full AV equipment with projector, screen and sound system. The whole building has superfast Wi-Fi and there is a phone booth should you need some privacy. Bike racks, showers and a garden are all available onsite. 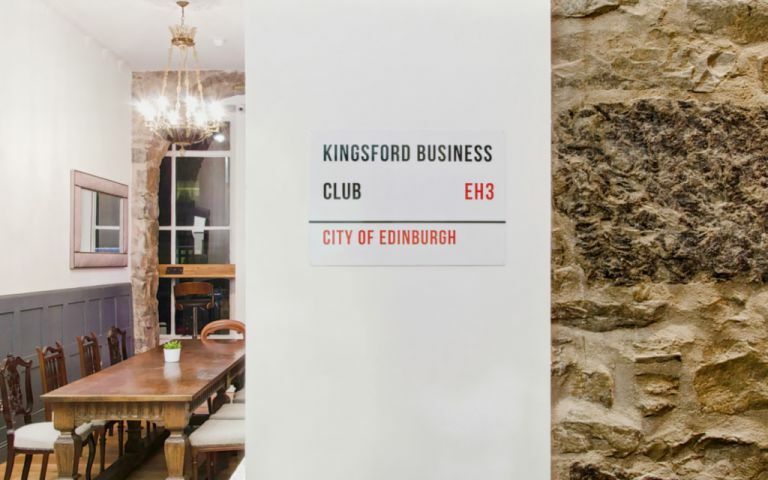 The offices are perfectly situated in Edinburgh’s vibrant city centre. Just five minutes’ walk from the shops and restaurants in George Street and just a couple more from Edinburgh’s main station at Waverley. The tram that links the city with the airport stops just moments away at St Andrews Square. These offices in Dublin Street offer a range of prices depending upon your exact requirements. Contact us now and we will help find the best price for you, based on your individual needs.